Photography students at the University of Northampton document the changing urban landscape of Northampton in an exhibition which shows a town in a state of transition and regeneration. 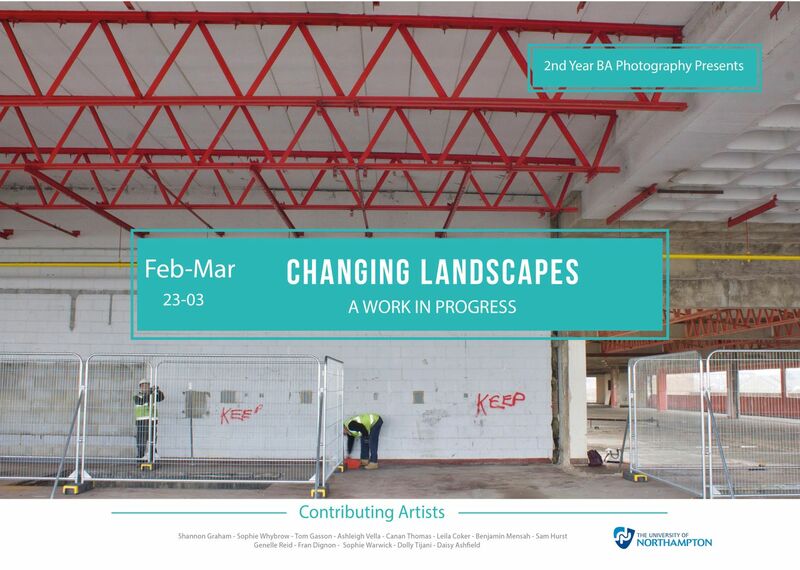 Changing Landscapes: A Work in Progress is an exhibition that focuses on the changing urban landscapes of Northampton. The exhibition is part on an ongoing project, now in its third year, in which second year Photography students at the University of Northampton document sites of regeneration and development within the town. Key sites documented include the Royal Mail Sorting Office on Barrack Road, the new University Campus Waterside, and the town centre 'Project Angel' site.